'A rich and thoughtful book.' History 'A magnificent empirical resource accompanied by a subtle and powerful framework of interpretation...It is not often that historical scholarship is so effectively harnessed to the sociological imagination.' American Journal of Sociology 'This is a masterpiece of social movement analysis by an author at the peak of his analytical powers making full use of one of the most extensive evidence files available.' Mobilization Between 1750 and 1840 ordinary British people abandoned such time-honored forms of protest as collective seizures of grain, the sacking of buildings, public humiliation, and physical abuse in favor of marches, petition drives, public meetings, and other sanctioned routines of social movement politics. The change created - for the first time anywhere - mass participation in national politics. Charles Tilly is the first to address the depth and significance of the transformations in popular collective action during this period. The author elucidates four distinct phases in the transformation to mass political participation and identifies the forms and occasions for collective action that characterized and dominated each. 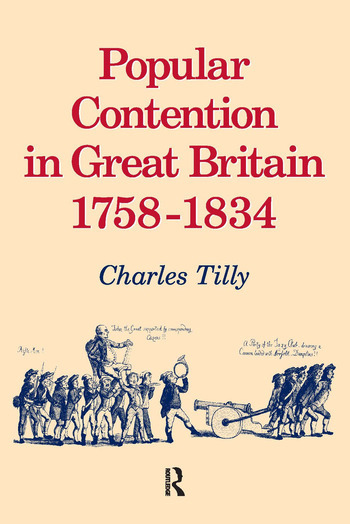 He provides rich descriptions, not only of a wide variety of popular protests, but also of such influential figures as John Wilkes, Lord George Gordon, William Cobbett, and Daniel O'Connell.